This weekend I got to work on the room that used to be the dining room, but that has now been transformed into the school room. When I began this project a few weeks ago I wasn't sure how it would turn out or if we would keep the new arrangement. I know that Paul wasn't totally sure how all this rearranging was going to look and wasn't really thrilled about the prospect of losing the dining room. I wasn't all that sure either... still I figured that if it was horrible we could just move it back. 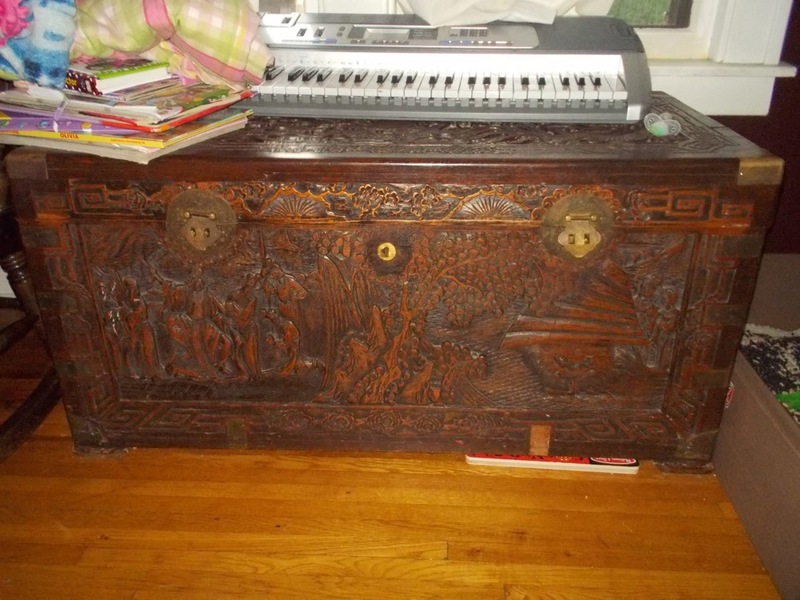 But once I'd hauled the dining room table into the living room and hauled the Chinese chest and toy chest into the living room I was pleased. I unplugged the TV and moved it across the room, deciding at that moment that cable wasn't something we needed any more (Paul didn't care... he's always studying anyways). 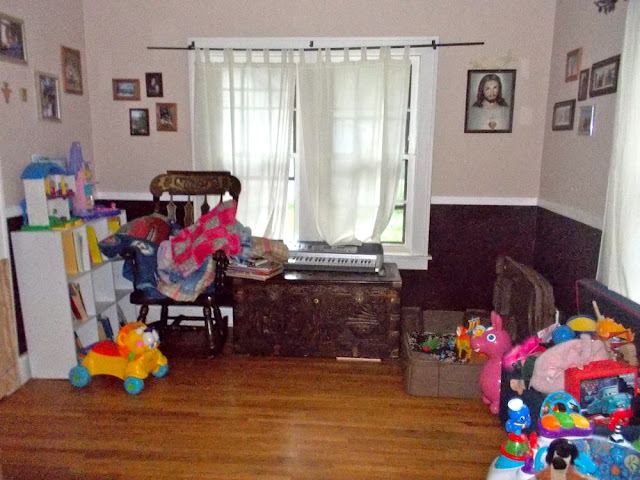 Amazingly, once I was done, both the living room and the dining room looked bigger. The girls love that they have a sort of runway back and forth between the rooms where they can twirl and sprint and zoom back and forth. And Paul thought it looked great too. 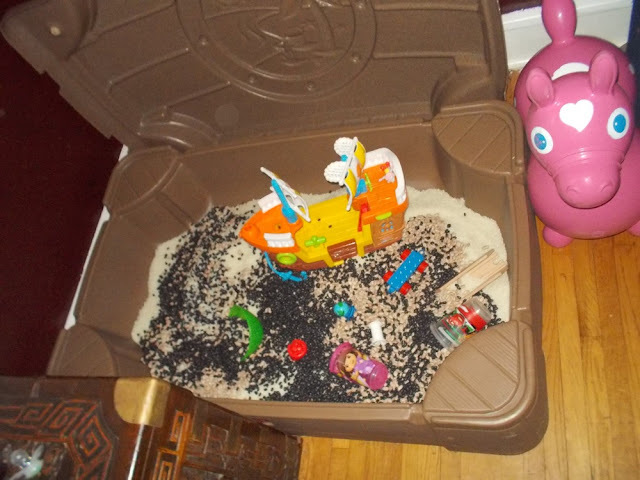 Once Paul's done with classes next week, I'm going to do some more reorganizing, sorting toys and trying to fit the ones that are regularly played with into the toy box with its lid down... but for now this works. 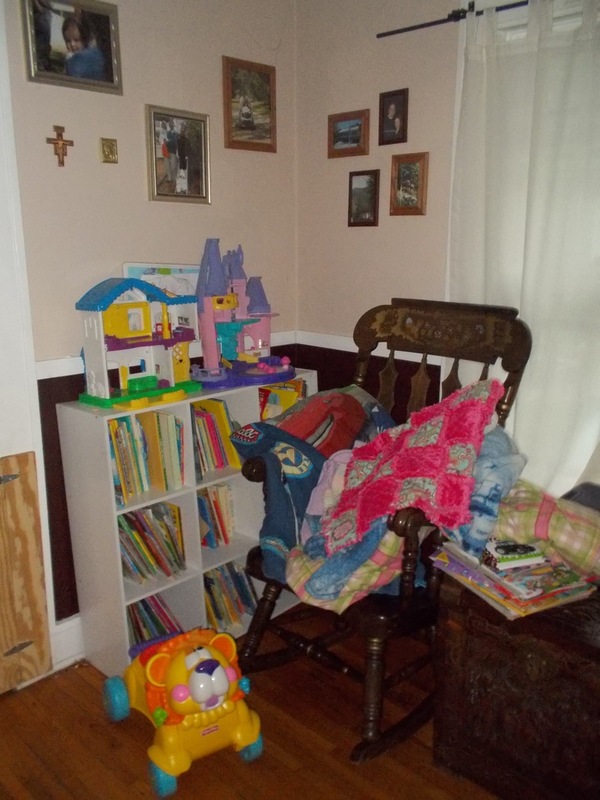 Here's the result... our "school room" did end up spilling over into the little dining area. 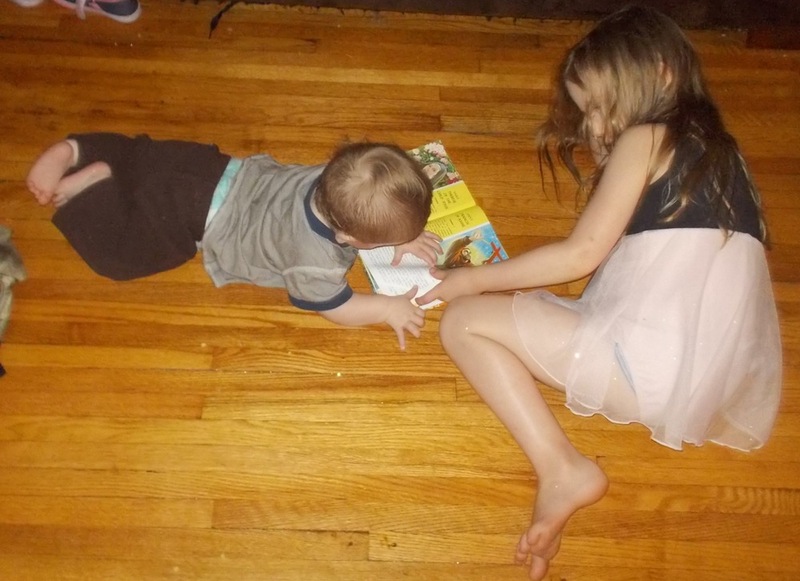 I was only too happy to cover up the stains on the paint with the school posters, and Sadie's always hauling her books over to the table, so it seemed like the perfect place for them. 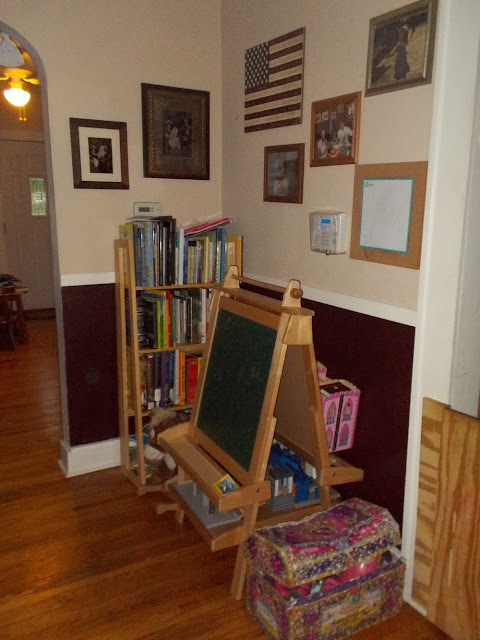 Here easel and school books... and a treasure chest with Mae's shoes. The riding corner. This is going to change the most in the upcoming weeks. The giraffe is going to go up to Patrick's room. 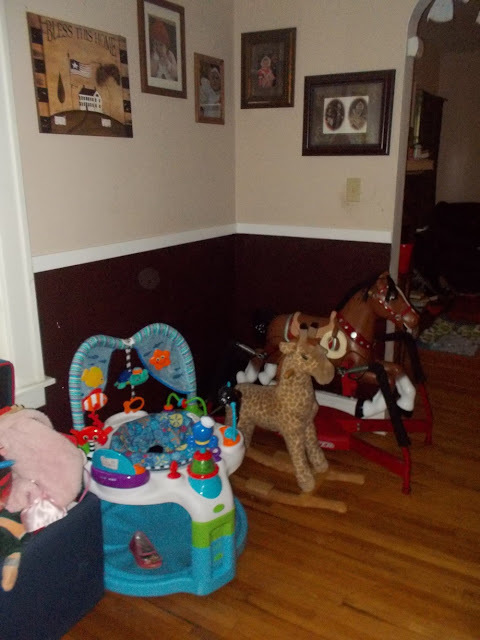 I'm not sure where Maximus is going (the horse) but he might be going up to the girls' room for late night riding because there's a trampoline on its way to our house (a small one) that somebody got Mae for her birthday... and that seems like the best place to try it out. Looking into the room from the living room. Mae's rice and bean table. Sadie wasn't happy when she saw that I'd added beans after she went to sleep last night. Mae had a blast. I love the posters so much more than the stains that just won't scrub off the wall. When we moved in I put a bookshelf in front of them and forgot about them, but since I'd moved the bookshelf they were seriously bothering me... and scrubbing just wasn't doing anything! My little scholar, dreaming her volcano dreams... That book was mine when I was a kid. She loves it. 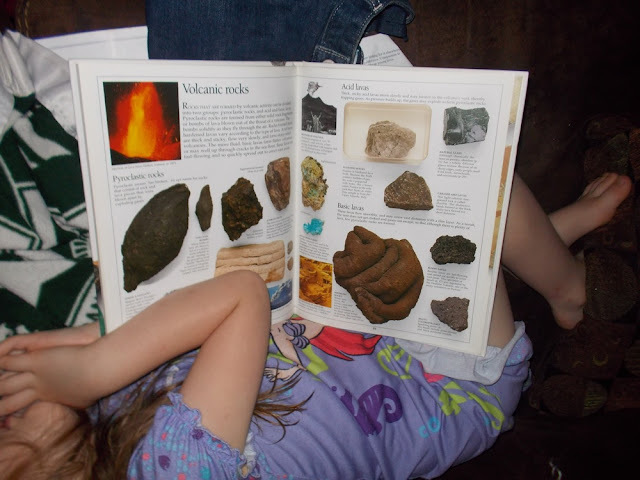 She finds it and hauls it out and stares at the pictures of rocks... especially the lava rocks. And that's the latest in my quest to make a fun little school room that the kids and I love being in! So far I'm pleased with how it's going! That looks awesome! Lots of room to learn and play, and nice and organized, too. Great job! Love it. What Curriculum are you planning on using? I am using Catholic Heritage with some supplemental material. Very cool!!! You make me want to post pics of ours! 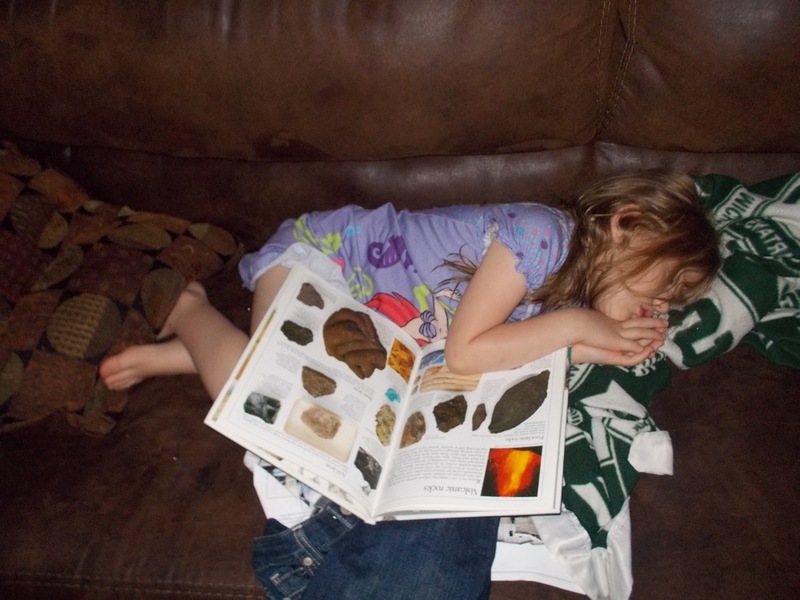 Since she is a Kindergarten kid I wouldn't actually use a specific formal curriculum. I'd just let her follow her interest with beginning phonics, sound awareness, and early literacy skills. Do simple math with everyday activities like counting the spoons you put away, adding them up by counting the forks plus the spoons, looking at fractions while cooking. Kind of the whole language meets the everyday life approach. 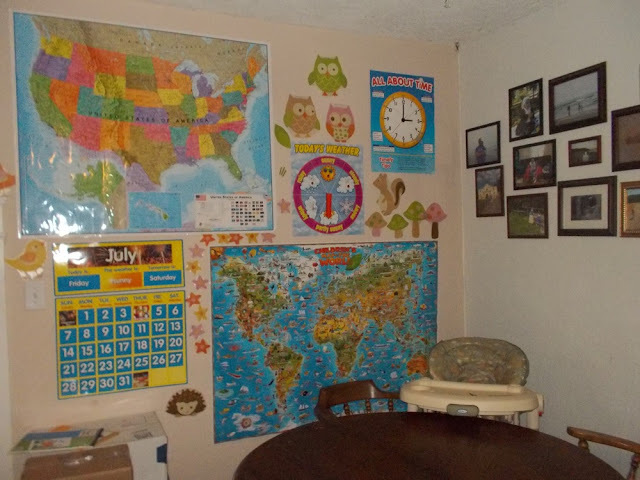 If you really wanted to do more literacy awareness start putting print labels in the school room like (Map, Bookshelf, etc.) Do creative spelling for a year or two. Write letters to people you know. Find a pen-pal and write back and forth. (Can you tell I was a speech pathologist in a school for a bit). My specialty was early childhood through 2nd grade. I think school should be fun for a while before actual assignments start showing up on a daily basis. 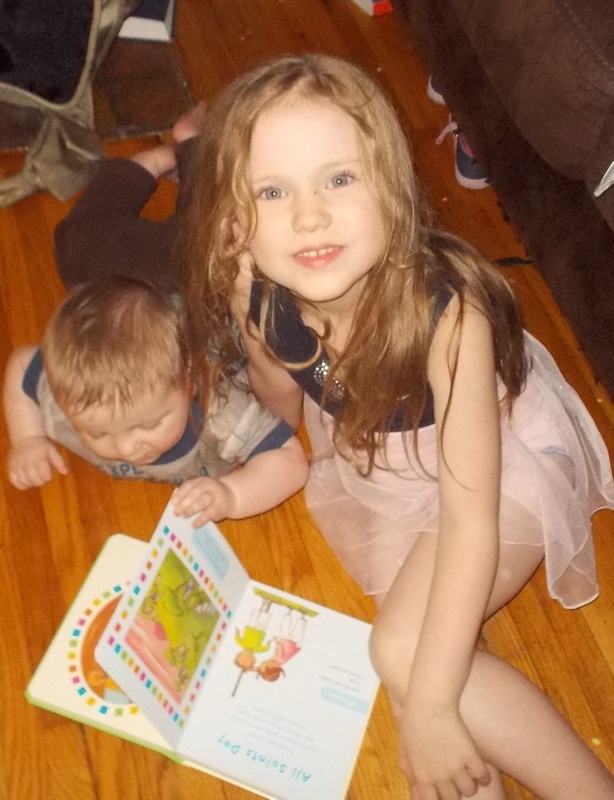 The great thing about homeschooling is you can go as fast or as slow as your child needs. How fun!!! Looks like a very inviting environment.